COLOMBO: In the largest ever grave discovered in Sri Lanka, over 230 skeletons were found earlier this year in the country’s Mannar town. A court has ordered detailed excavations at the site, which is a former co-operative depot near the bus terminus. Human remains were found by workers digging the foundations for a new building, in August. Although the identity of the dead people has not been confirmed yet, and how they died. 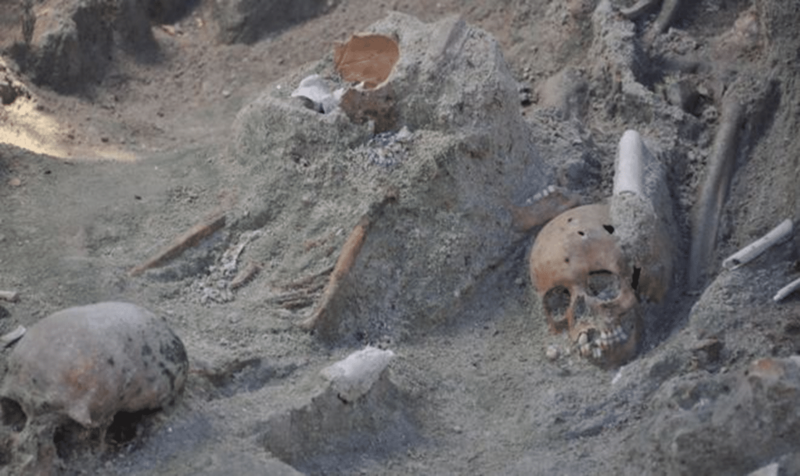 Raj Somadeva, a forensic archaeologist from the University of Kelaniya near Colombo, told that they have excavated more than 230 skeletons so far, said the report of BBC. He also said that as per his experience this was the largest mass grave ever excavated. Adding further, he told that apart from human remains, archaeologists also found porcelain, ceramic and metal objects, in addition to some jewellery worn by the victims. And that the bones were scattered and it was very difficult to trace the stature of the bodies. Some bones were missing and it’s chaotic, he said. During the civil war, Mannar (where the skeletons were found) remained mostly under army control, while Tamil Tiger rebels dominated its surrounding areas and other major parts of the district. In general, the town of Mannar is dominated by the ethnic minority of Tamils and community leaders. They say that hundreds of people from the region had gone missing during the long conflicts between Sri Lankan security forces and Tamil Tiger rebels. Wars might have been the huge reason behind the deaths of a large number of people in the country. And the case of Mannar hints to this only. Earlier too, other mass graves have also been discovered and unearthed in Sri Lanka’s former war zone since the conflict ended. The remains of nearly 96 people were found in 2014 at a place in Mannar only, alongside a Hindu temple.